LONDON (Reuters) - Rich people are hiding conspicuous consumption, choosing to spurn luxuries of the boom years to be sensitive to friends who suffered in the downturn, a private equity executive said. Being showy with luxury items has gone out of fashion even though some could still afford it, said Pi Capital Chief Executive David Giampaolo. 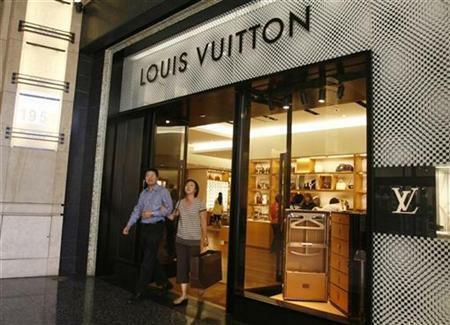 "Some people are still shopping on (London's upmarket) Bond Street but when they walk out of Louis Vuitton they're putting what they just purchased in a Tesco bag," he told the Reuters Hedge Funds and Private Equity Summit in London. Pi Capital co-invests in private equity deals with a network of around 300 wealthy individuals and family offices. "Conspicuous consumption is dead, it's vulgar, it's a turn-off," he said. "If your best friends lost their jobs at Lehman or lost their family fortune in Madoff, it's not exactly in good taste." Giampaolo said some rich people had also stopped indulging in luxuries such as flying by private jets. "It isn't that they can't afford it -- financially their lifestyle doesn't have to change -- but it has changed because they have determined it's inappropriate to carry on the way they did before," Giampaolo said. "For some, if you had 1 billion and you still have 600 million that's a lot of money, isn't it? So I'm not sure you can't still fly privately or eat in Harry's Bar. (It) doesn't mean you will, though." The average member of Pi Capital's network had seen wealth shrink by 30-50 percent over the past year. "I'm seeing changes everywhere -- massive... Right now I cannot think of one who has not changed their lifestyle as a result of what's happened."